The West and the Ruthless, Available Now! Our feature film, The West and the Ruthless, is available now in the US and Canada with a release from 4 Digital and Sony Pictures. The Eurpean Release has been slated for early 2018. Here’s a list of just a few of the retailers where you can Purchase, Download, Stream, and Rent! The West and the Ruthless, Now Available for Pre-Order on iTunes! The West and the Ruthless is now available for Pre-Order on iTunes! If you Pre-Order now it will be available on Nov. 7 to stream and download! The Film is also available to Pre-Order on DVD at Amazon, Best Buy, Barnes & Noble, Turner Classic Movies, FYE, Movies Unlimited and more! The West and the Ruthless, Pre-Order Now Available at Amazon, Best Buy, and Barnes and Noble! The West and the Ruthless, DVD is now available for Pre-Order on Amazon, Best Buy and Barnes and Noble! The film will be released by Sony Pictures and 4 Digital on November 7. It’s really exciting to see the film, no longer in our hands, but heading out into the world! It’s also interesting to see new posters and covers being released as well. The West and the Ruthless European Release is being scheduled for an early 2018 release. The West and the Ruthless, European Release! We’re SO excited to announce that our debut feature film, The West and the Ruthless, is heading to Europe! The West and the Ruthless will be released in the US and Canada on Nov. 7 by 4 Digital and Sony Pictures with the European release to follow in early 2018. The film will be released by Manymore Films who will oversee the distribution. The West and the Ruthless premiered at AIFF in April and has received rave reviews with praise for it’s performances and cinematography as well as it’s non-linear structure with comparisons to Doug Liman’s film “Go” and the works of Quentin Tarantino. The film stars Danny Brown, Dan Fowlks, Rebecca Gomberg, Paul Haapaneimi, Alexander Harris, Benedict Mazurek, Will Roberts, Zoe Sloane, with Matt Boone and Katelyn Ann Clark. The West and the Ruthless, All Clips! With the upcoming release of The West and the Ruthless (Nov. 7), we wanted to showcase all the incredibly cool clips we’ve released so far! Make sure to go FULL screen! For more great content from The West and the Ruthless, make sure to check out the articles below as well as the official site! Also check out behind the scenes on Instagram! New Interview with the Post-Dispatch! Just did a New Interview with Joe Holleman, a reporter with the St. Louis Post Dispatch! The interview is about the upcoming release of The West and the Ruthless on Nov. 7! "Trivundza reports that his film, "The West and the Ruthless," has been picked up for distribution by Sony Pictures. A release date of Nov. 7 has been set. The flick is the first full-length feature from Trivundza and his wife, Lexie Findarle Trivundza, who share writing and directing credits on the piece." The West and the Ruthless, Coming Nov. 7! Mark your calendars for November 7, as Sony Pictures and 4 Digital release The West and the Ruthless! The film, directed by Nick+Lexie Trivundza, will be available on DVD, Blu Ray, and Digital just in time to kick off your Holiday Shopping this year! Need a stocking stuffer, how about a copy of The West and the Ruthless! 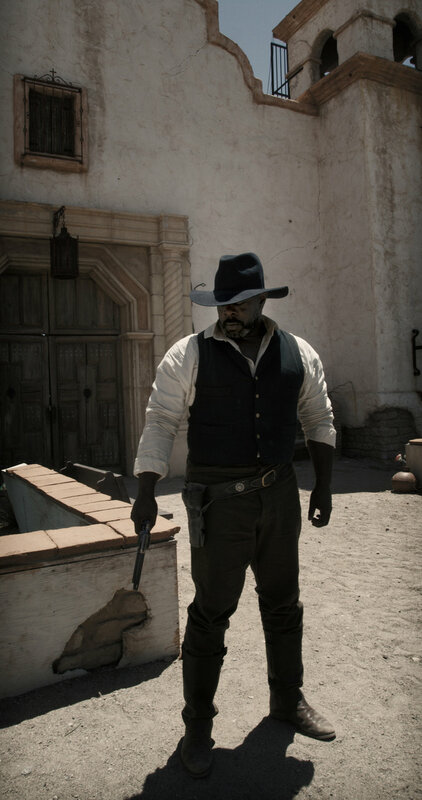 Shot on location and Produced in Association with Old Tucson Studios (Tombstone, The Quick and The Dead, 3:10 To Yuma, The Magnificent 7) The West and the Ruthless has been called “An Instant Indie Western Classic!” (Keegan McColl, Reelhouse) and “Filled with Swagger, Grit, and Bravado (Jonathan Martin, FilmQuest). Two years ago, the screenplay for The West and the Ruthless made its first splash at FilmQuest. Well we just had the the chance to show them the final film and it was SUPER fantastic! "Swaggering onto the screen with confidence and bravado, The West and the Ruthless will keep you guessing as it boils over to its thrilling conclusion. Grabbing you by the face and never letting go, Ruthless packs more grit than a prize fighter, and promises a showdown that will leave you breathless." 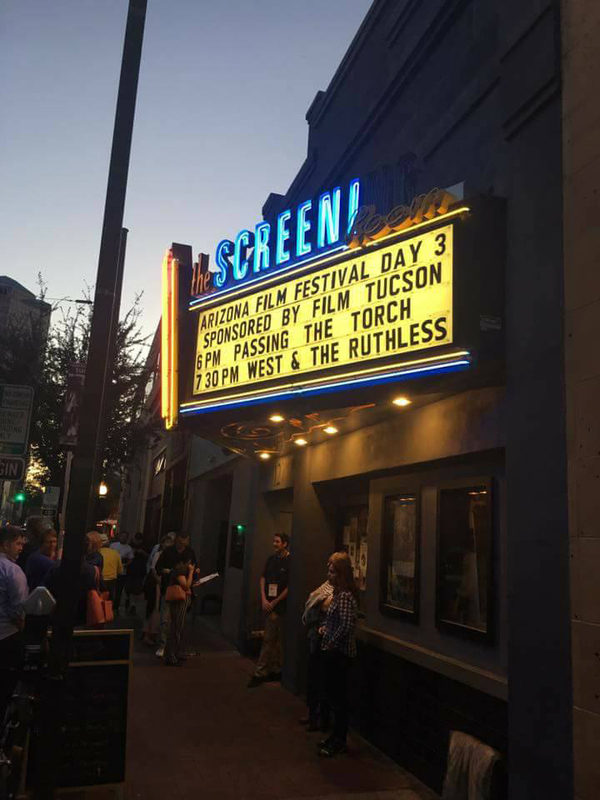 Along with the original screenplay for The West and the Ruthless, FilmQuest has screened our last 4 short films, The Umbrella Factory, Jack the Ripper, Around the World in 80 Days, and Haunting of the White Sparrow. The West and the Ruthless will be released by 4 Digital and Sony Pictures. The West and the Ruthless, Enters the Hall of Fame! To celebrate, here’s a few more shots we’ve been holding on to! These verticals were early poster concepts and look great! The West and the Ruthless, the debut feature film by Nick + Lexie, was picked up in Cannes by 4 Digital and will be released for Sony Pictures. The sale was overseen by Tall Tree Entertainment who acquired the film earlier this year. The film will be released on DVD, Blu Ray, and Digital. We just did a really GREAT interview with Cheryl Laughlin for Script Magazine! The article discusses the Myths About Westerns and Why We Actually Love Them. The interview is with Nick Trivundza and Cat Stewart discussing the aspects of writing a western film for modern audiences. The day after the Premiere of The West and the Ruthless (which was phenomenal :) we met up with Producer Rob Jensen and headed out to Mescal, which seems to be out in the middle of nowhere as your drive through the deserts of Arizona. Rob was one of the producers on The West and the Ruthless and heads up the production at Old Tucson Studios. When we were shooting the film, he had also mentioned how amazing their other backlot was, Mescal. It’s the legendary site of the OK Corral shootout from Tombstone. The location scout was like having a private tour of a ghost town. it was amazing. Here’s a few snapshots below. The West and the Ruthless, Premiere and Party! What an incredible Premiere we had for The West and the Ruthless! Thank you for everyone who came out to support the film (I cannot believe how packed the theater was, holy crap!) and for all of you who rooted for us from further away!! Our feature film The West and the Ruthless will be heading to Cannes this May! The film was acquired for World Wide Distribution by Tall Tree Entertainment in January as part of their 2017 line up. International sales kicked off during the Berlin Film Festival at EFM and will now continue during the Marche Du Film at the Festival de Cannes. The film, Directed by Nick + Lexie Trivundza and produced in Association with Old Tucson Studios and stars Danny Brown, Dan Fowlks, Rebecca Gomberg, Paul Haapaniemi, Alexander Harris, Benedict Mazurek, Will Roberts, Zoe Sloane with Matt Boone, and Katelyn Ann Clark. Join us April 21st at 7:30PM for a Panel Discussion following The West and the Ruthless! We'll chat about the making of the film and also have a Q&A. The Panel will take place as part of AIFF and we couldn’t be more excited! Also, with the Premiere quickly approaching, we just had the chance to proof the posters heading out from the print shop on their way to the festival. They look incredible!